Saigon seems to add hotels by the week. And while they offer comfortable, well priced accommodation, few of the city's openings break new ground in terms of design and concept. 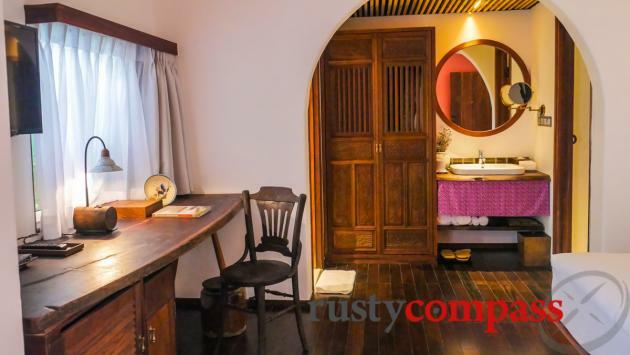 In this listing we focus on Saigon hotels and places to stay that are doing interesting things with design and the guest experience. We’ve been busy updating our recommended hotels for Saigon. There are too many to choose from. And there’s plenty of quality and value for money on offer. But few of the city’s hotels are breaking the mould and responding to the hunger among travellers for something different. Which is part of the reason Airbnb is booming - and not just for budget-conscious travellers. 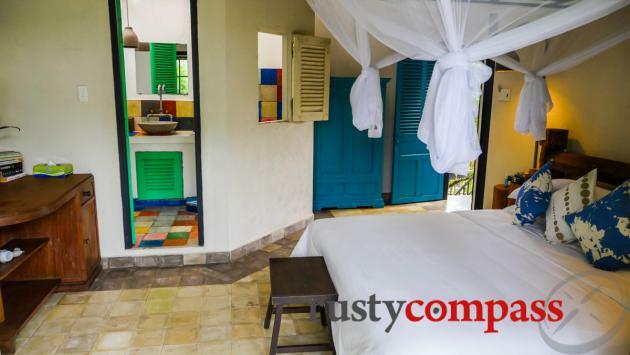 Here are hotels and accommodations that have added a little extra colour to Saigon's accommodation scene. The Cham sculptures on display in the lobby of The Myst Dong Khoi give it a private gallery feel. It’s a nice way to arrive in a new city. They also convey something uniquely Vietnam in style. We kind of hope the sculptures aren’t real. They look like they should be in a museum. The Myst rooms are spacious and warm, with timber floors, nicely placed flourishes of colour and plenty of natural light (in most rooms - check first). The river views will draw you in too. The rooftop pool’s a standout, making good use of limited space. The views across the city skyline and the river capture the unique chaos of Saigon’s fast-changing centre. The only downer is the construction project that’s just beginning in front of The Myst - creating the Saigon Hilton we’re told. It will eventually wipe out the river views. Not too soon we hope. Damned shame. Visit soon! Read more about The Myst Dong Khoi here. The location and lobby of The Dorm, convey a sense that you’ve arrived at a cool new boutique hotel. With neighbours like The Sheraton, The Caravelle, The Continental and The Park Hyatt, this is prime city real estate. But The Dorm is, as the name implies, a dorm - a budget accommodation. Its focus on cool design and fittings, as well as comfortable, classy common areas, marks it out as something special in the heart of Saigon. 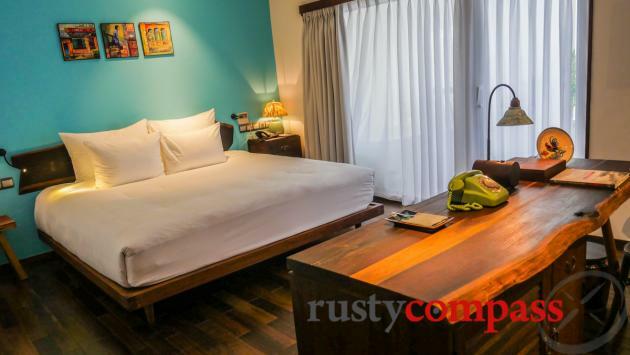 Set in an iconic building overlooking Saigon’s most historic street, The Dorm features a mix of 4 bunk dorm rooms, double rooms and single rooms. The rooms are tight and sharply priced. Clean modern shared bathrooms are a short walk down the hall. Some of the rooms have windows, some don’t. The bedding and linen is of a standard you’d expect in a boutique hotel. Some of the rooms we saw didn’t have windows - which could be a tad claustrophobic. It’s worth checking that yours does. The idea here is that you sleep in your room, explore the city by day and night from your base downtown, and use the generous common areas to chill, read a book or get some work done. There’s a cafe-style space in the lobby, a rooftop bar and a handful of nooks where guests can get some fresh air. Fusion Suites is a clever conversion of a 1990s commercial bank building slightly away from downtown Saigon. We’re partial to clever conversions and this one works. The feel is friendly and relaxed. The lobby area has a cafe vibe. You could spend a lot of time here. Rooms are spacious and the ones we saw were bathed in natural light. The design style is modern European, with timber panels and muted tones. I like the location too - a safe distance from downtown metro construction. And once you hit the tree-lined street below, you’re in an interesting little local area, with remnants of old Saigon. In many ways it's better than being right downtown. The view from the rooftop bar and restaurant conveys an impression that Saigon is a green city. It's a delusion that will be dispelled as you get around. But it's nice while it lasts. And there’s the spa offering that Fusion resorts are famous for. The welcome message made me cringe a little; “We don’t care if you’re black, white, short, tall, fat, skinny, rich or poor. We will embrace you as one of our own. Simple as that”. I don’t know how guests react to messages like this. But my guess is that as a hotel with nightly rates similar to the average monthly salary in Vietnam, the embrace of rich and poor may differ a tad. Am I being too literal? The use of huge images of Vietnamese rural folk on the hotel walls also feels a little invasive. I reckon they could pull back a touch on that stuff without diluting their authenticity effort. Who knows though, maybe travellers love it. Either way, Fusion Suites is a welcome addition to the city's hotel scene. Read more about Fusion Suites here. River Cottage feels like the kind of place you might find on the Mekong River in Luang Prabang, or a sleepy town in Cambodia. It’s completely removed from the madness of downtown Saigon. It’s located down a quiet lane in the District 2 expat enclave around 20 minutes from the city centre. As central Saigon is overwhelmed by construction, the arguments for staying in District 2 become more compelling. And District 2 is now home to some of the city’s best international eating and shopping. There aren't many hotel options yet. No doubt more will follow. River Cottage is tiny - just 8 rustic, riverside rooms. And a generous riverside deck where you’re likely to spend your time. This may be the definitive Saigon escape. Staff are friendly and helpful - but you get the sense this place is about atmospherics more than fussing staff. It feels like the kind of place you could come to write a book. Read more about River Cottage here. Airbnb has made a big splash in Saigon. Of special interest to us has been the efforts of locals to transform historic apartments into funky Airbnb accommodations. It's added new life to heritage buildings that are often threatened with demolition. It may not save them, but awareness of their value is growing. 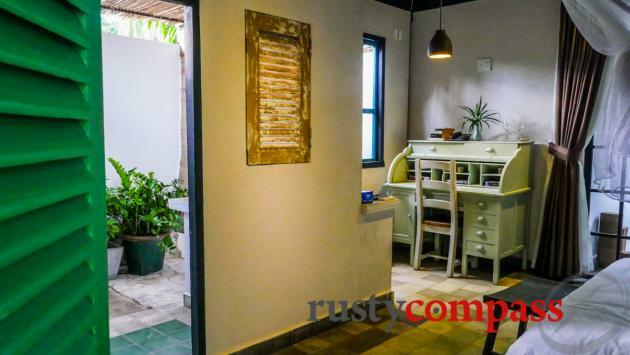 Keep in mind that while these classic colonial apartments feature cool interiors, you’ll be staying in local neighbourhoods - which may be noisier and busier than what you’re accustomed to at home. For many travellers, that taste of local life will be a highlight. For others, perhaps not. These pics feature some of our favourites. 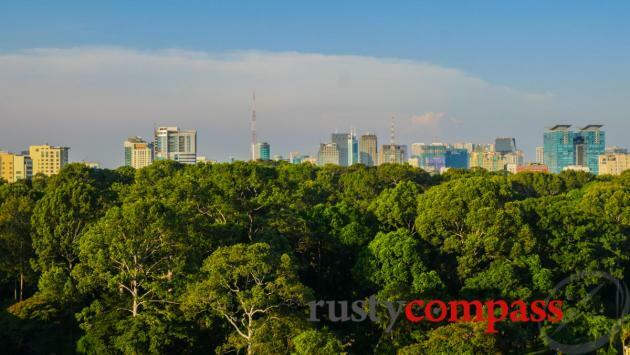 For more on apartments in Saigon, check out our recommendations here. We're always on the lookout for cool new places. If you know a place that we should know about - in any budget category - send us a message and tell us why it's special. 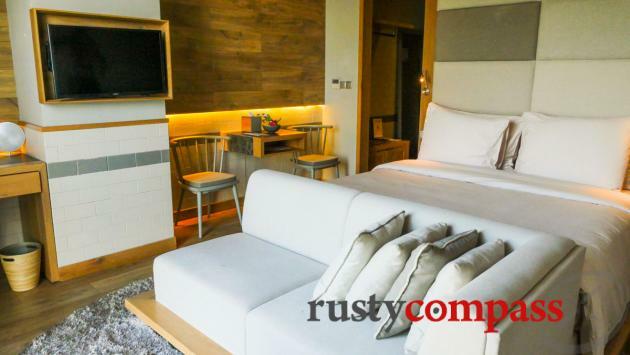 You can check out our full list of the best places to stay in Saigon here. Rusty Compass listings are always independent. We recommend the places we think you should know about. That's it. No inducement of any kind was received from these three hotels and they exercised no control over our piece.